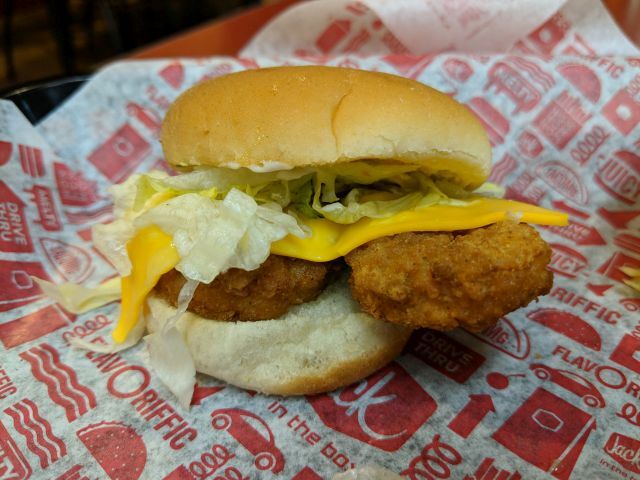 Jack in the Box Chicken Nugget Sliders feature chicken nuggets nestled in a slider bun along with shredded lettuce, mayo, and American cheese. They sell them in sets of two for $2. 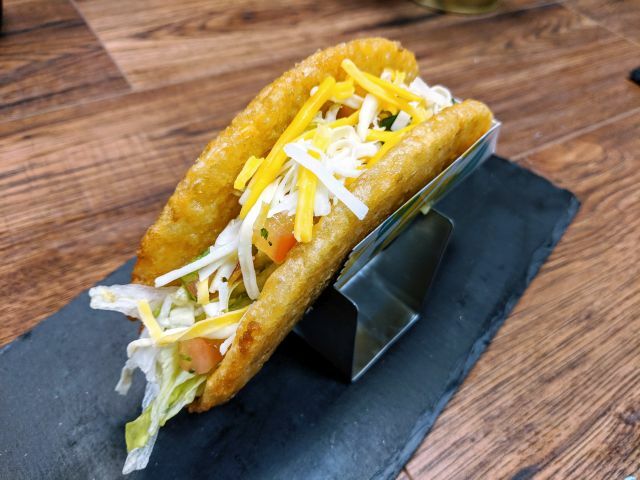 These remind me a lot of KFC's Chicken Littles (the old ones not the new ones) but turned out better than the last time I had the old Chicken Littles. The nuggets were nice and crispy on the outside and plump and moist on the inside. 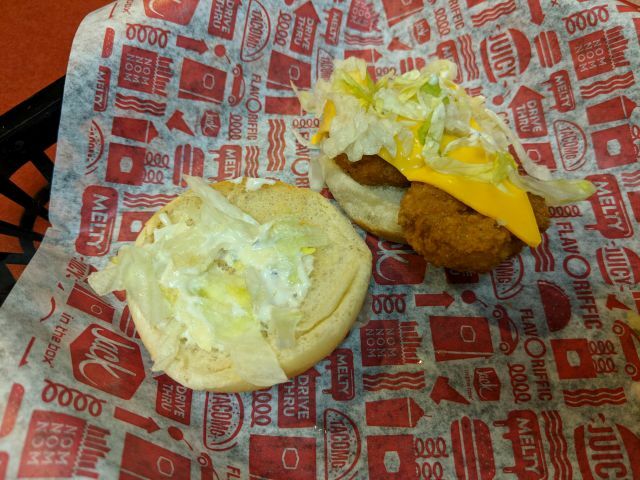 The lettuce was fresh with almost a watery snap to it. The mayo wasn't spread too heavily. The cheese came on strong but didn't go overboard. The bun was a little dry but was nice, airy, and soft. Basically, it turned out better than the chain's new Asian Fried Chicken Sandwich all around. 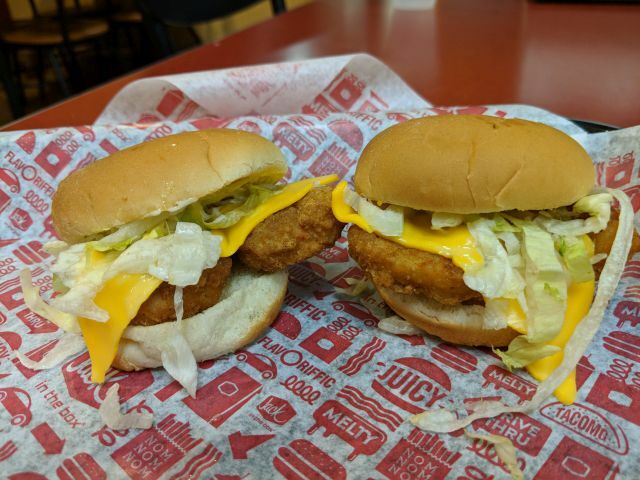 While not adding much in the way of newness to the menu and not all that great a value (compared to a McChicken at $1), Jack in the Box's Chicken Nugget Sliders turned out rather well for a seemingly jury-rigged collection of standard menu ingredients (save for the min slider buns).